With over 14 years of experience, Deborah is a skilled project manager with a dedication for serving nonprofits, associations and government agencies. As the Director of the Project Management Office, she focuses on ensuring that all clients are truly our partners. With an eye on open and honest communications, on creating and maintaining project schedules, and on budget details and organization, Deborah works with the PM team to provide the highest quality project management to all clients. Prior to joining Fíonta, Deborah was a project manager at the Matrix Group, a provider of commercial Association Management Systems, and managed a web platform called GrapeVine, that used Big Data concepts to provide nonprofits insights into their effectiveness. She also worked for a campaigning organization during the ’08 Presidential election, had various positions within the Federal Government and did marketing and communications for a Chicago-based restaurant company. Deborah has a BS from Northwestern University, as well as an Advanced Certificate in Project Management from Stanford University. 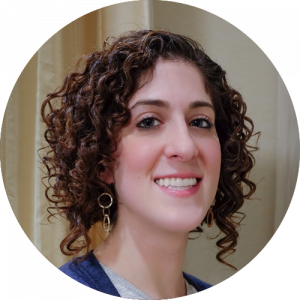 When not thinking about managing projects at Fíonta, she spends time as the Chair of the American Jewish World Service Global Circle Steering Committee and volunteers time raising awareness for the Anti-Defamation League. Her weekends are filled with long walks with her partner in crime, her dog Georgie. She has a well-known addiction to peanut M&Ms and if you visit her, ask to see her candy drawer.